Please share some success with me as I am 54 and have little hope now. I have gone from alcohol to coke to crack to opiates to methadone and now back to crack. Only on 25ml of methadone, 9 years and up and down with crack. Recovery is not a straight, smooth path. You take a few steps forward, then a few backwards. Relapse is a part of the process. The important thing is to hold on and keep trying. You are not alone, as millions of people have the same struggle. People who have that same struggle will certainly understand what you are going through and can be a tremendous source of encouragement and inspiration. You might want to consider joining a group. AA is a wonderful organization. There are meetings in virtually every town and you can find one that feels comfortable. You need support and someone to lean on. I am a person of faith. I firmly believe that God's rope starts where ours ends. No matter your believes, or religious background, God is there for you. 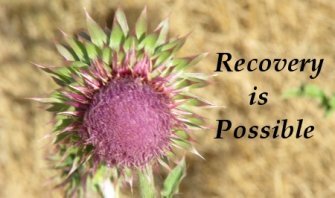 There are many faith-based groups, like Celebrate Recovery, for you to check out. Churches all over the country have gatherings. There is always hope. You can get back to a healthy and happy life. With perseverance and faith, you can do it. After four 30 day impatient rehab treatment centers my grandson age 32 finally got the best treatment at the last center. He was given a Vivitrol shot to prevent him from the desire of wanting to use drugs. It is two year later and although he still gets the shot monthly he has been clean all of this time and is doing well. Has gotten married and has a 18 month year old son who he is the best dad to. There is hope, for him, it is the Vivitrol shot that he gets now from the Drug and Alcohol Addiction Center locally. Try it to get your life back to before addiction.